... Why is Niko banned? .3. Deeds, Demosiz, _The13thDoctor_ and 1 other person like this. _The13thDoctor_, DanDaDino and Pandaa like this. _The13thDoctor_ and ChillyTree like this. Javima1 and ElPtricko like this. Thank you @Wintrie for this amazing profile picture! Ok, I'll accept it when I next come on! RageGamer336 and Soeshi like this. Thanks for the follow , i hope that i can help some more people out with my thread. Ok. I am a catfish from a distant planet. If you ever want to meet me, remember these directions: Go to Mars. Travel 5 parsecs left of the Andromeda galaxy from Mars, and you should find a rocky planet. That planet is horrible cos there is no wi-fi. Oh, and there are aliens that like to eat people. Go to the portal on that planet and walk through it upside down. You should be transported into a different reality. Go up 167.98247493 parsecs and you should find a watery planet. Go to the centre of that watery planet and you should find a sacred potato. Move exactly 10.573857384759375648371 light years to the left of where you came from, then there should be a tiny silver dot, about the size of an ant. Place the potato in the middle of it and it will open a portal. Go through the portal, then go to the south pole of that planet. Go down 18572951867.123456789 meters and you will find my home! Hope you come visit soon! P.S: the potato teleports back to its original location. 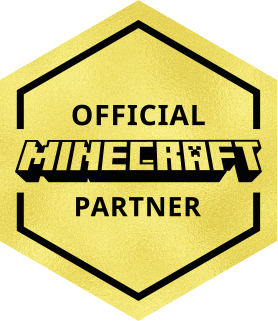 Ok, I am crepuscular and love mine craft very much. My all time goal is to become a mod on cubecraft, but I still have to wait until I am one year older :3. But until then, I will stay active on CCG forums and be kind and respectful to everyone <3. If you do have a problem, do not be afraid to PM me, also I do not mind what you need help with as long as it relates to CCGN. So don't come to me asking what kind of food to feed your hamster. I am English and do not speak any other languages, though I'm thinking of learning Dutch. Until then, I still have google translate .My IGN is: DanDaDino and my rank is obsidian. Hope to see you in-game!